Beauty and Hair Academy of Australia (RTO No. 21573) is a beautiful college with the largest Spa training facility in the Northern suburbs and has the latest equipment. Our spa training facility was built at a cost of $250,000 to ensure our students learn in the best environment possible. Beauty and Hair Academy of Australia was established in 2005. It was a chain of events and a steely determination that inspired CEO Martine Vallelonga to dedicate her life to providing a place for young people to go and learn and to experience real life work situations. Over 10 years later we are one of Melbourne’s leading beauty colleges, whole-heartedly committed to excellence in every aspect of education and training. We are involved and current in our industry so we are always cutting edge in our teaching style. We are a Nationally Recognised Training Organisation and recipient of training awards for Excellence in Innovation. Our students learn in small classes, maximum of 18 per class, benefiting from individual attention and one-on-one tutorials. We provide practical hands on experience in all services, with a minimum of three practices for each service before assessment. BHA now offers certain courses online around Australia offering the same dedication to guiding you through your course. We have combined modern technology with existing training practices to ensure a rewarding, virtual experience for the user. 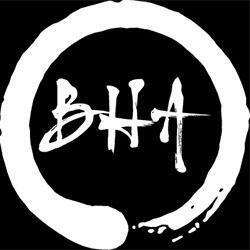 BHA is a Registered Training Organisation, We offer VET FEE-HELP to eligible students. This is an Australian Government loan scheme that assists eligible higher education students, enrolled in fee paying places, to pay their tuition fees. Fee paying places are not subsidised by the Government and tuition fees are set by individual higher education providers. Eligible students can choose to use a VET FEE-HELP loan to cover all or part of their tuition fees. It is worth noting VET FEE-HELP loans incur a loan fee of 20%. We also offer payment plans for our Fee For Service courses, which we encourage students to compare.